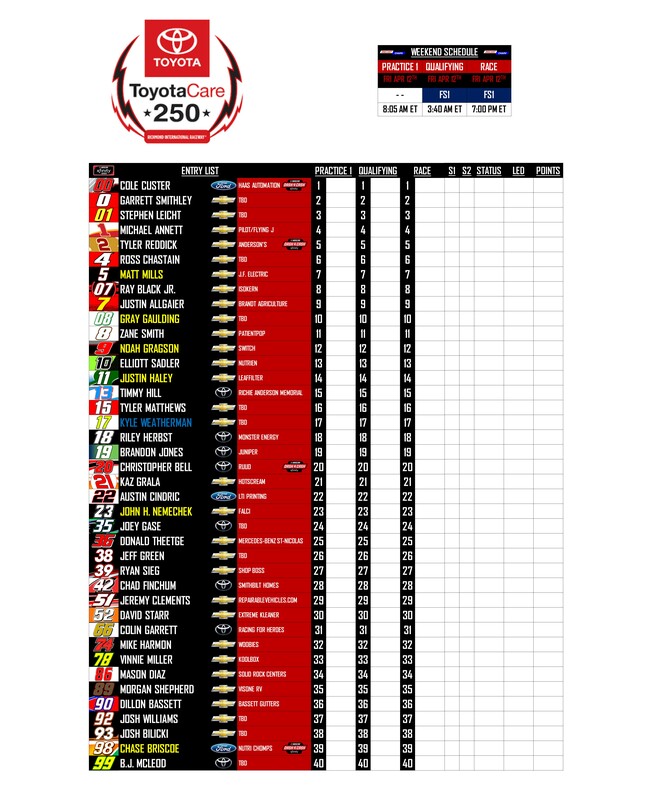 Discussion in 'NASCAR Discussion' started by BrendonH12, Apr 11, 2019. It's fixed! Sorry about that... I just used DiecastCharv's schedule and didn't even think to double check... Thanks for the info, man! Crap, I forgot they were night races this week! mtblillie, puckhogg11, ShadowKnight508 and 1 other person like this. mtblillie, starscream24, puckhogg11 and 2 others like this. Missed the race again, been off with facts lately, so hopefully I can rectify that this week. Martin Truex Jr. has now won a race for four different teams. 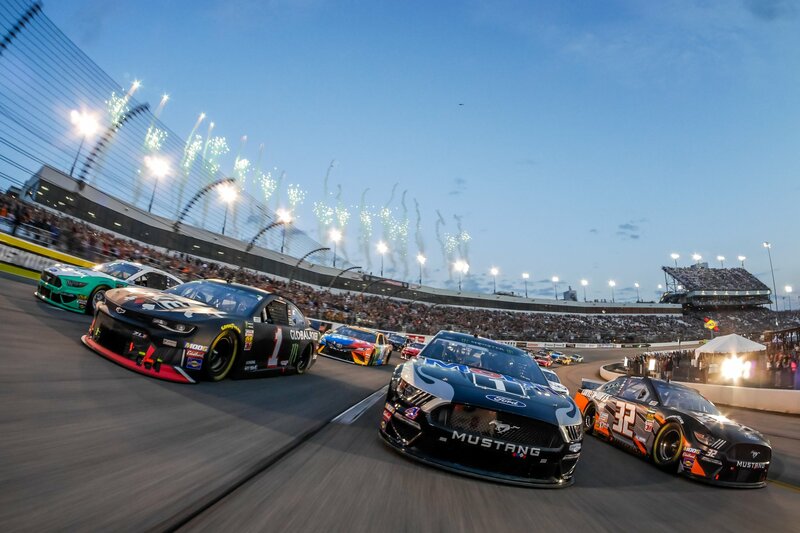 Truex broke a tie with Clint Bowyer, Ryan Newman, and Kurt Busch, as the three are the other active drivers to win races for at least three different teams. Busch and Newman have a chance this year to win with a fourth team. All three Penske drivers, as well as Kyle Busch, Kevin Harvick, Aric Almirola, and David Ragan all have wins for two different teams. 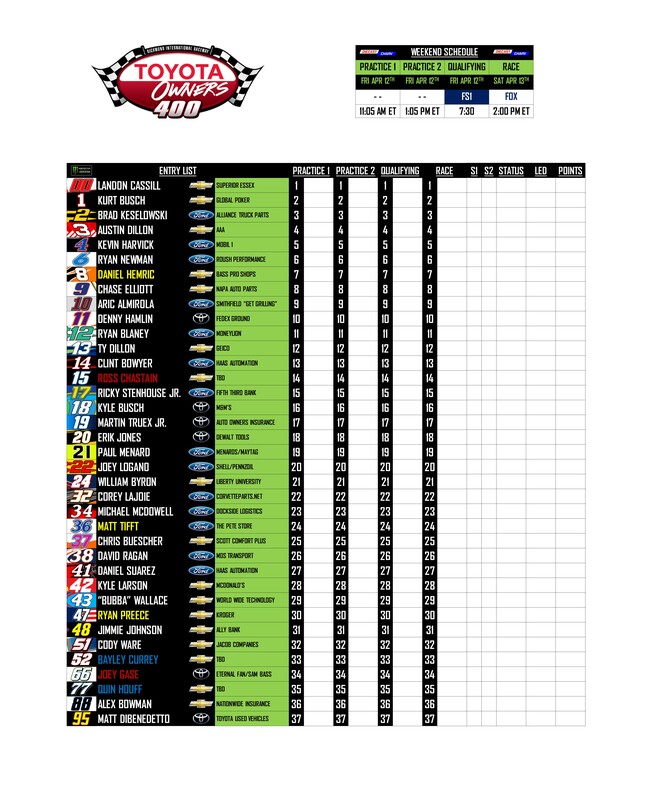 Kurt Busch, Bowyer, Newman, and Keselowski have also won for three different manufacturers - Bowyer is the only driver to win a race for all three active manufacturers, while Busch, Newman, and Keselowski have won with Dodge, Ford, and Chevrolet. Truex Jr. has led the most laps at four straight Richmond races and finally won one. Kyle Busch also led the second most laps in the previous Richmond race. The last Richmond race with a margin of victory more than a second was the fall 2012 race - Bowyer won by a second over Jeff Gordon, who barely made it into the Chase. 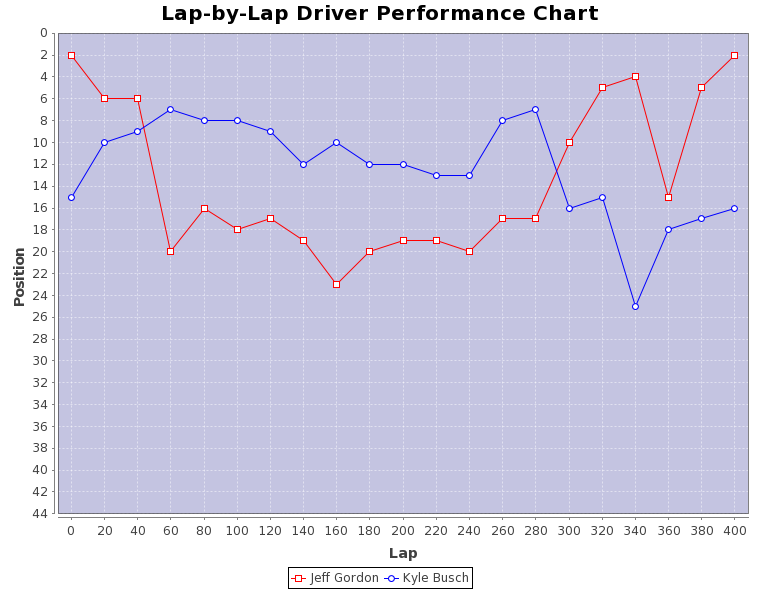 Busch had been running much better than Gordon the whole race, but things went in Gordon's favor late. The 2017 fall race finished under caution, so no margin of victory was recorded. Truex's victory over Logano today (.178 seconds) is the closest at Richmond since Harvick barely beat Carl Edwards in the 2011 fall race. Truex has five victories driving an Auto Owners Insurance car, and four of those victories are at night races. Truex has won seven night races total. mtblillie, MillsLayne and BrendonH12 like this. To go along with JJ's post above, Joe Nemechek was the latest to win for four different organizations before Truex's win last night. Sabco Racing, Andy Petree Racing, Hendrick Motorsports and MB2 Motorsports. db512, BrendonH12, JeffJordan and 1 other person like this. TruEX woN at A SHort TrAcK! The test is happening but this seems like much ado about nothing. Probably just a test at a place where no one has any notes. The RC would be better than the oval for Xfinity, but it would still be garbage compared to IRP.